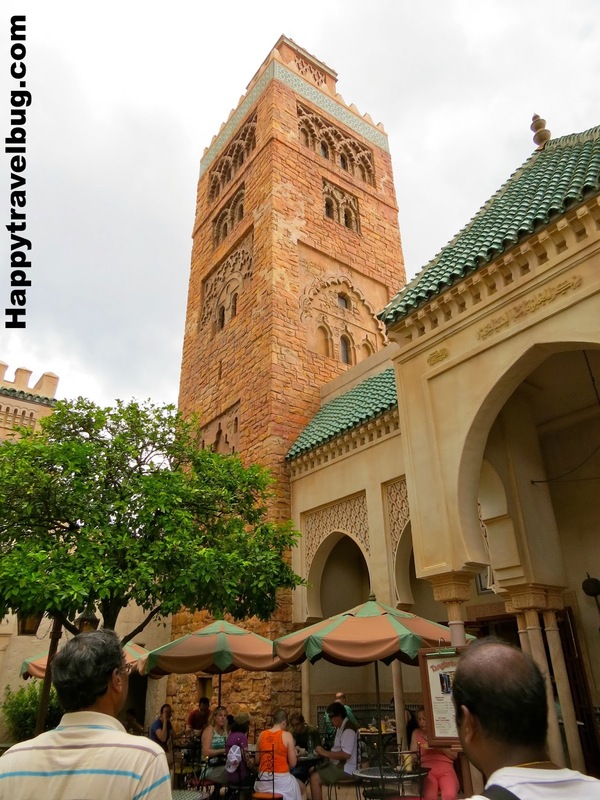 I’m still exploring the world showcase at Epcot and today I’m in Morocco! 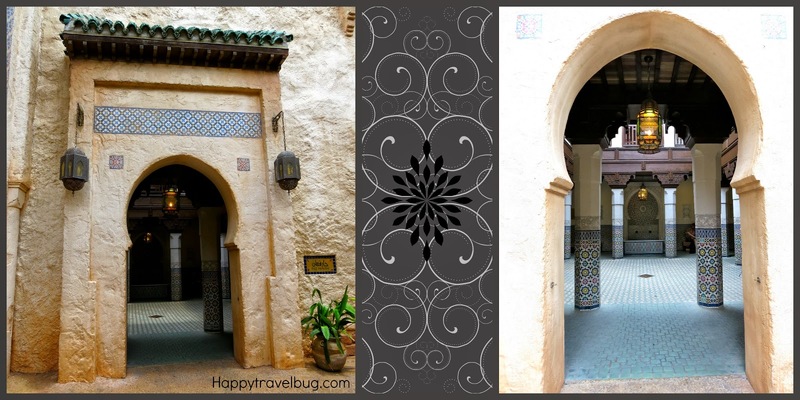 I have never been to the real Morocco, but I would love to! I like to pretend I am really there while I am walking around. Believe it or not, it is rather easy for me to do that. I pay attention to all the details that make each country unique. Morocco has a lot of those. I especially enjoy the mosaic tiles. So colorful! The buildings themselves offer a lot of interesting detail as well. While I don’t usually buy a lot, I do like to look at the products they sell in each country. Again, I like to immerse myself in the experience and that is part of the fun. Like when my kids got into the Moroccan spirit on a past trip to Disney. Another feature I enjoyed was the arched doorways. I’m always taking pictures of unique doorways, no matter where I am. Not sure why I find them so interesting…anyone else do that? 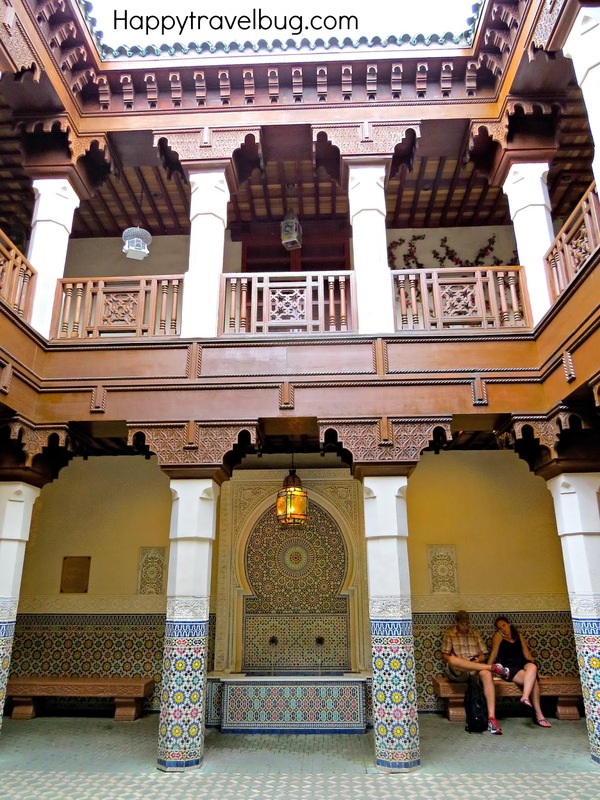 This doorway turned up a relaxing room with a fountain and some seating. I took a little video so you could get a better feel of the place. 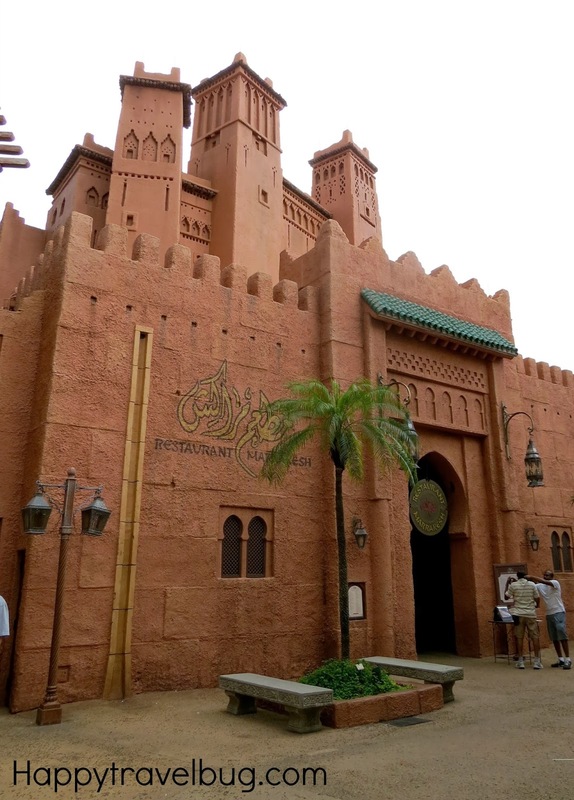 While I didn’t eat at the Moroccan restaurant, Marrakesh, on this trip, I have eaten there twice before. It is a fun experience with belly dancers and musicians entertaining you while you dine. 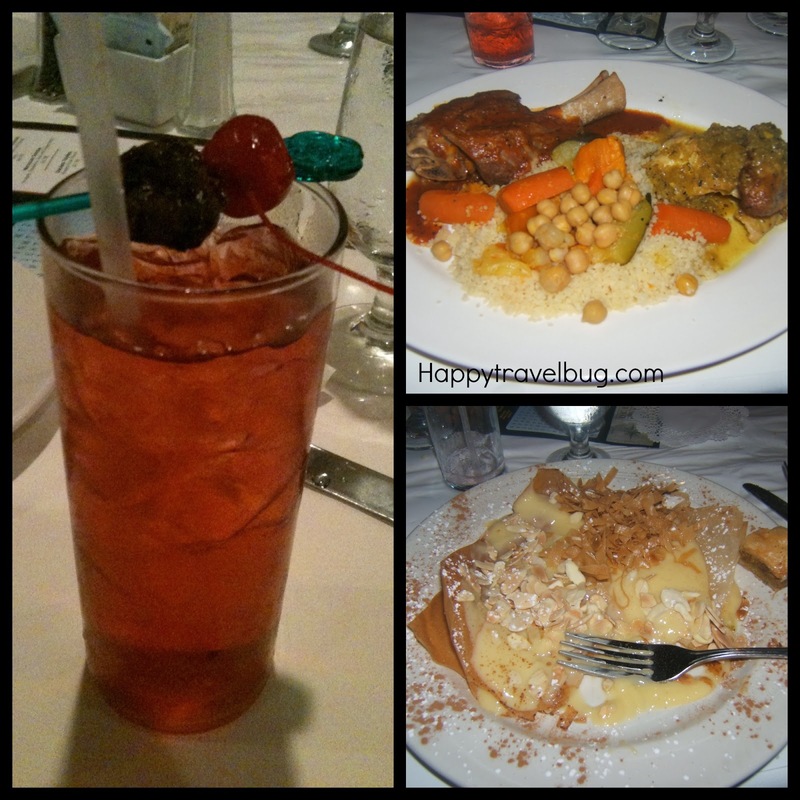 I enjoyed a Sahara Splash cocktail while I ate couscous with lamb and chicken. There I go, trying lamb again. Still don’t like it that much. What I did like, a lot, was the Bastilla that I ordered for dessert. It is thin layers of pastry with vanilla cream and almonds. YUM!